Dwyane Wade is introduced as a new member of the Chicago Bulls at the Advocate Center in Chicago on July 29, 2016. I mean, we can't all be rappers, right? That's why some are NBA stars like Dwyane Wade. The basketball player decided to throw his hat into the #SoGoneChallenge and dropped a few bars to Monica's classic song. Wade rapped about his mother being an addict, and even gave telephone psychic Miss Cleo a shout-out at the end. But needless to say, people had some harsh opinions about his freestyling skills. 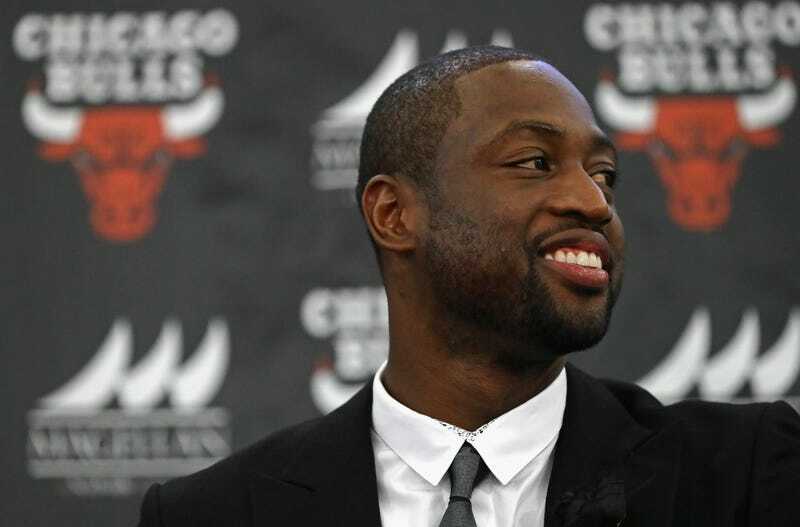 Wade issued the challenge to fellow NBA players like LeBron James and Carmelo Anthony. Let's see if they can do better .. even though I still don't think Wade was that bad.